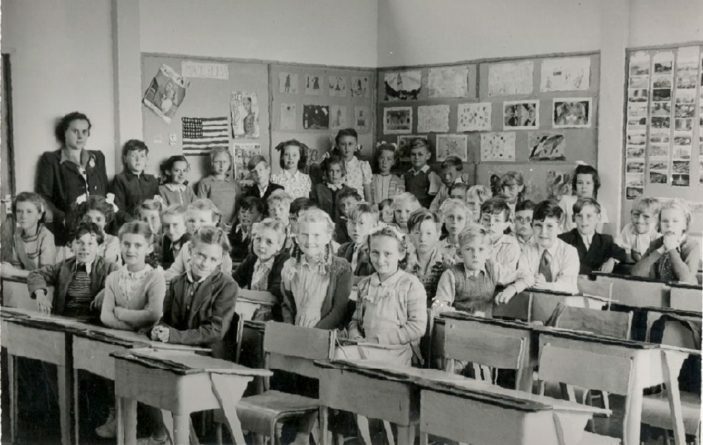 A typical 1940’s classroom in Warren Dell school. Did you attend the school at that date and can you recognise anyone in the photograph? When my family moved to Oxhey in 1947 I went by bus to Watford Fields School which left from Oxhey Lane – As soon as Warren Dell was built I transferred there which must have been early 1948 – the photo of the class shown on here is very interesting as I am sure I was in that photo – wonder if the register still exists with the childrens names – unfortunately I can’t remember any teachers name although the name Mr Warburton is in the back of my mind as head master.